Thank you so much for your service and dedication to protecting MIT. You will be truly missed on campus. You and your family are in my thoughts. I never met you, but from everything I've read about you it sounds like you were an amazing person and truly connected to the school. I'm so sorry our community had to lose such a pillar. Thank you for your service and protection. My deepest condolences to Sean's young familiy. Your hubby will always be in my heart. My god always priase him and look after him. Now, he'll be save forever. You truly embodied these values, making the greatest sacrifice so that we all might live. Thank you. With all of my Heart, I express extreme sadness for your loss. I have worked at MIT for eighteen years so I know the campus and certainly many of the faces. I cross Vassar Street at the crosswalk when I come into work at 8:20am or so, and I will always greet the officers and wish them a safe day. I had no idea just how powerful those words could be. God bless you Officer Collier -- Rest in Peace. You will be remembered for ever in our hearts for the sacrifice you made. Boston will never forget your fight and sacrifice against the Jihadi terrorists. I want your memorial to come up. May your soul rest in peace. For ever live liberty. May your family members gain enough courage to face the ugly truth. My salute to you. What an exceptional man. How many campus police officers make so many dear friends? And how many campuses would express such love for their officers? Officer Collier's spirit will live on among us. May we all learn from his example. May his family find peace. We thank you and your family for your ultimate service. Thank you for protecting us and keeping us safe. We will never forget you. My thoughts and prayers go out to your family and friends. May we always remember the courage of this young and brave officer, who was ready to sacrifice his life for the protection of our society and our MIT community. My sincerest condoleances to his family and friends. Thank you for your service to this country. You will be missed. My thoughts and prayers go out to Officer Collier's family. We are MIT Strong for you!! May the PEACE OF GOD keep your hearts and thoughts during this difficult time. God is a HEALER. HE will provide healing as needed. RIP Officer Collier, your dedication and selfless service to the MIT community will forever be remembered by your honorable valor you portrayed not just on that day but every day. Those in Boston and around the world are humbled by these recent events that demonstrated what true courage and heroism is. Our thoughts and prayers are with you and your family during this extremely difficult time. Thank you for keeping watch, Officer Collier. It is beyond grasp, the level of dedication and ultimate sacrifice Officer Collier and all of MIT police endure for the safety of the school and the community. My eternal gratitude is given to Sean, my condolences to his family, and I want to strengthen the hands of the police force that work tirelessly to keep us safe. Thank you Officer Collier for protecting the MIT community. You will not be forgotten. you have been a generous brave man. Thank you! 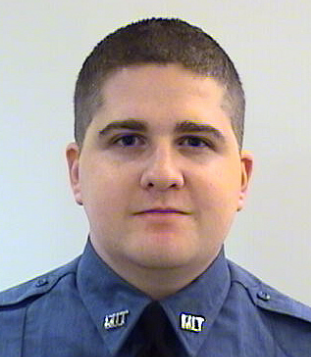 Our deepest sympathies go out to the MIT Police Department and to the family and friends of Officer Collier. Our thoughts and prayers are with you all. There are no thanks that can suffice for the ultimate sacrifice. Thank you for keeping us safe. We will remember and miss you. My heart goes out to the family. May you find peace at this time. Thank you so much for your services. All of the MIT student body will feel this great loss.